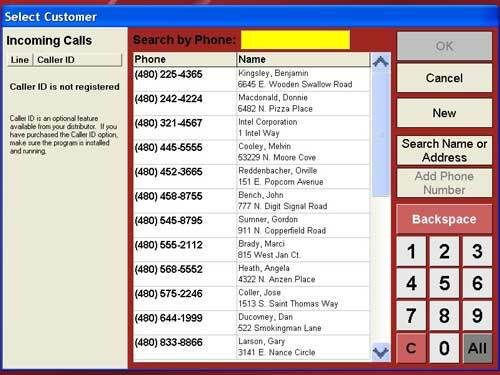 Pizzeria Point of Sale Software – Simple. Efficient. Affordable! Technology to help your business grow and prosper has never been easier or more affordable! These pizzeria-specific features are found in Point of Success Premium only. Design and order a pizza all on one screen. Combine specialty pizzas with customer-selected toppings, set or change the size of the pizza on the fly, control every ingredient and preparation detail, and much more. Charge for a whole pizza by the most expensive half, combine the price of each item on a pizza into one price or list them separately, specify or calculate partial-portion topping charges, and charge more for an item from your delivery menu. Customer database records include all the necessary information like contact information for business customers and hotel guests. Track customer details including name and address, email, multiple phone numbers, order history and more. Use your customer database for advertising and reactivating lost or lazy customers. Caller names and telephone numbers are captured and used to connect a caller to a customer in your database or create a new customer record. 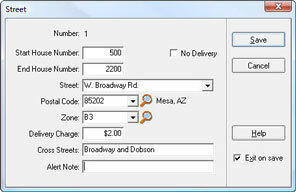 Specify street names and address number ranges you serve. Makes entering customer addresses more accurate, chooses the delivery zone automatically, allows variable delivery charges by location, and lets you specify areas where you will not deliver. Pizzerias offer more creative coupons and promotions than any other type of restaurant! Point of Success supports a wide variety of discounts including percentage off, amount off, timed discounts, manager-only discounts, buy one get one or more at a free or discounted price, combination discounts and many more. Point of Success works with Microsoft Streets & Trips software for routing, turn-by-turn directions and map printing. You can be ready to take an order any time of the day or night with online ordering. No matter when your customer is ready, you’re ready to accept delivery orders, office lunch orders and catering sales. Your Pizza POS System Should Help Improve Sales! 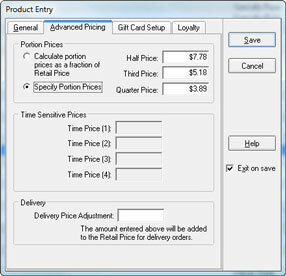 Information to help build better promotions, encourage customers to order, and run sales contests in your restaurant and more is available in Point of Success. Sales and marketing reports give you the information you need to help your POS investment really pay off!